Don't miss this hard to find location in Gallatin! 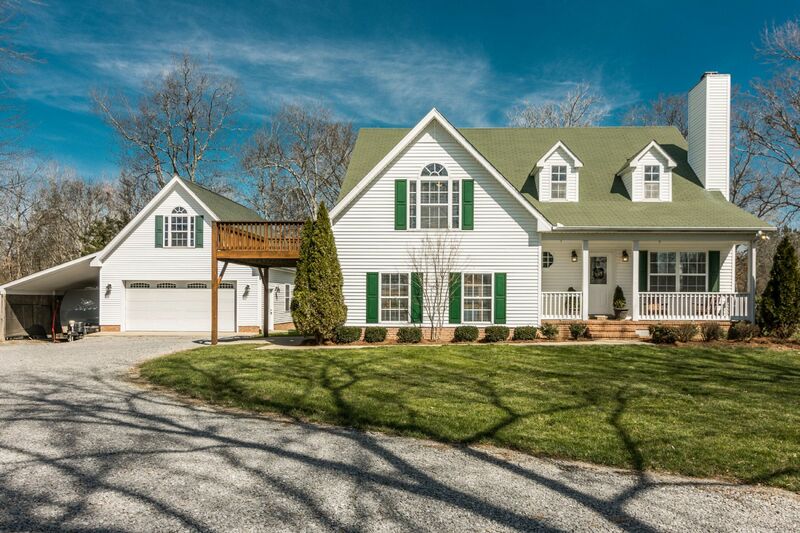 Tucked in a peaceful, quiet wooded lot and still just 5 minutes from town and bypass access. Great views from the front and back porch. Master suite downstairs with a remodeled bathroom, antique clawfoot tub, tile shower and his/her closets. Open floorplan with vaulted ceilings in the living room. New hardwood floors throughout the downstairs. Peaceful open beam back patio with additional attached deck. Perfect for entertaining and grilling. Bonus room above the attached two car garage and oversized detached garage with tons of storage above, that could be finished in the future. Will be rezoned for the new school system off of Upper Station Camp Creek Rd. based on current information.